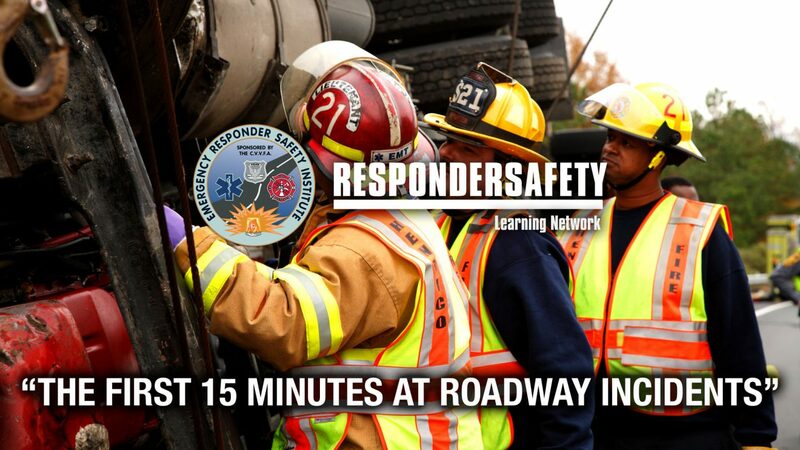 Respondersafety.com considers outreach to be a critical part of its mandate to bring traffic incident management and roadway incident safety information and training to all first responders. For the last two years, Stonehouse Media has spearheaded a multi-pronged online marketing campaign using search engine optimization, social media campaigns, e-mail blasts, Google AdWords, and Facebook advertising to markedly increase site traffic, user registrations, and social media engagements. 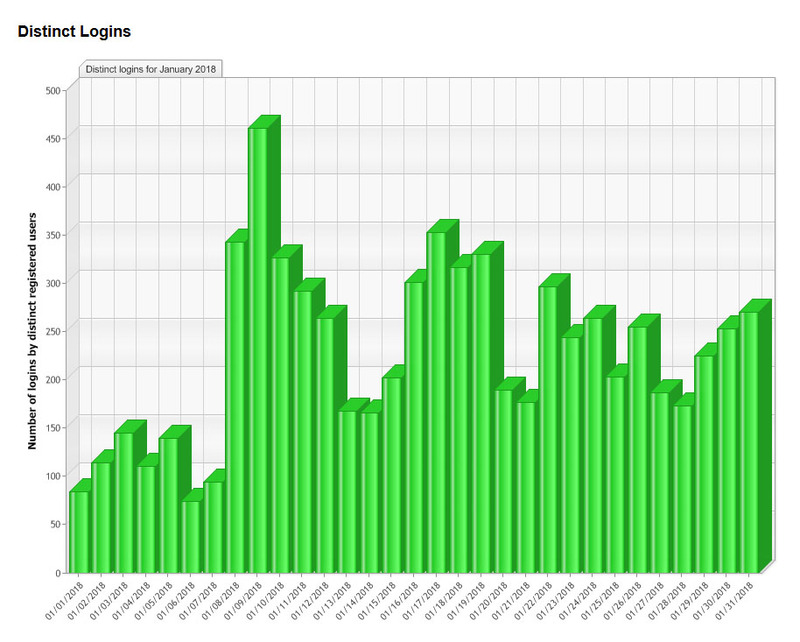 In the first year, session traffic and unique user visits to Respondersafety.com were up 44%, search engine referrals increased by 81%, and social media referrals were up 40%. 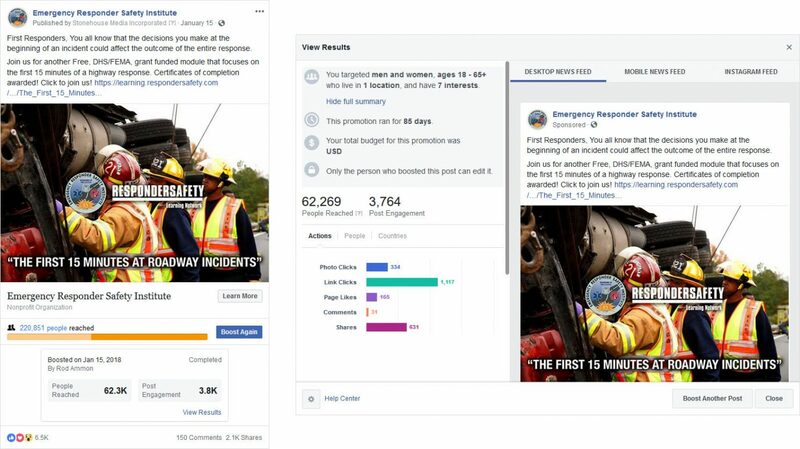 For the Responder Safety Learning Network, the results were even more dramatic — a 171% increase in sessions, a 169% increase in new user registrations, a 227% increase in search engine referrals, and a 2700% increase in referrals from social media. 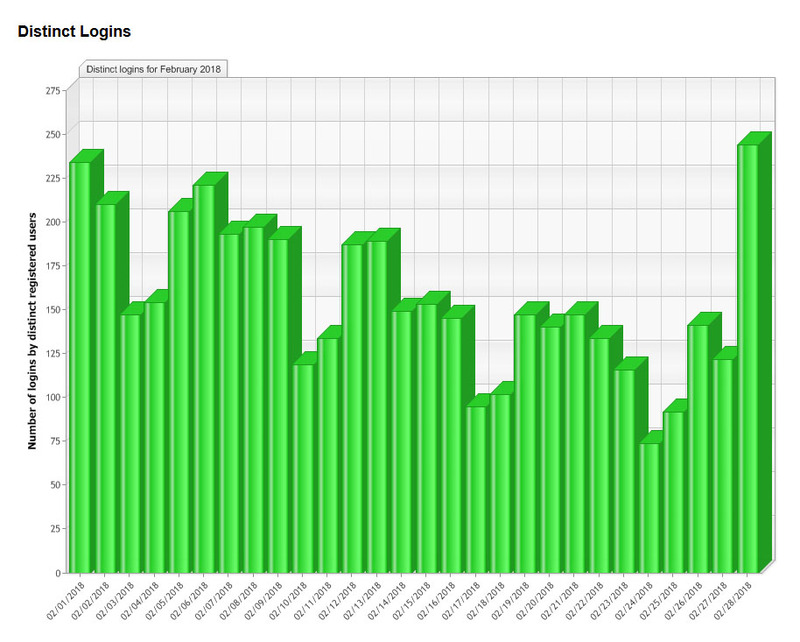 As a result of the increased traffic, new user registrations also went up 169% and sign-up spikes were correlated to boosted Facebook posts. The upward trend continued into 2018 on ResponderSafety.com, with sessions up 38%, search engine traffic up 57%, and social media referrals up 21% over the previous year.